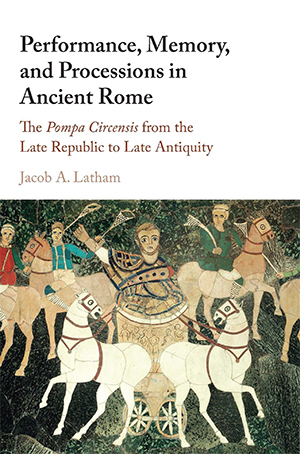 Jacob Latham, assistant professor of history, published his first book, Performance, Memory, and Processions in Ancient Rome: The Pompa Circensis from the Late Republic to Late Antiquity (Cambridge University Press, 2016), this past summer. Ancient Romans loved parades, and the most frequent of these was the procession before the chariot races called the Pompa Circensis. In delicious detail, Professor Latham describes what Romans considered the ideal form of this great event, and then tracks the complex changes in the procession from Republican Rome through the Imperial and early Christian periods. In its earliest form this raucous celebration glorified the Roman Republic, but as the centuries passed it increasingly celebrated the event’s great sponsors, the authoritarian emperors.